When the building matches the colour of the car the reflections are even better! I love, love those ol' VW wagons! You found one that appears to be in great condition! Your Monte Carlo poodle dog photo was terrible! A grand moment of circumstance! The blues and reflection are wonderful! 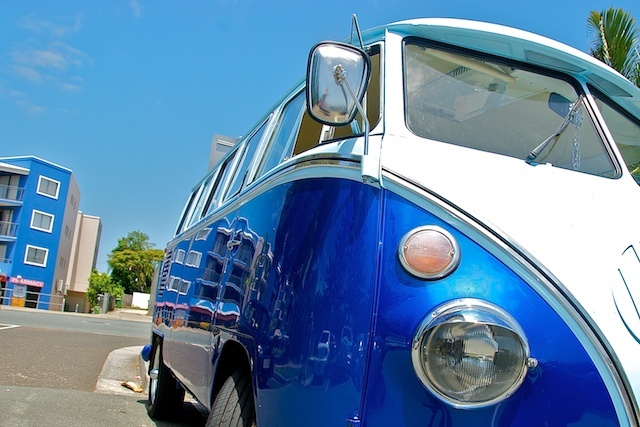 Wonderful reflections on this shiny beautiful VW Bus. Perfect.